Breezak is a Super Assault Bakugan. It was released in August. It has been seen in Pyrus, Aquos, Darkus, and Ventus. Pyrus has 800 Gs, Ventus has 790 Gs, Darkus has 780 Gs, and Aquos has 810 Gs. 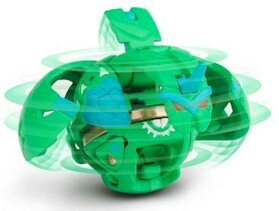 Purchase your Breezak Bakugan from Amazon now!